On October 13, one news headline stood out among the rest: “Trump says he spoke to U.S. Virgin Islands’ ‘president’ — which is him.” “Must’ve been a one-sided conversation,” one Twitter user noted. The Daily Show put out a video of Trump shaking hands with his “genetic replica.” This hilarity momentarily puts a spotlight on the island chain. Momentarily. While the headline sparked humor and highlighted the situation in the U.S. Virgin Islands (USVI), it’s not about the USVI. This was some of the most coverage the island chain had received in the past few weeks, which is surprising considering that they were just hit by two different hurricanes (Hurricane Irma and Hurricane Maria). Not only have they not been covered, they haven’t been getting adequate help — these two things, media coverage and federal assistance, are staunchly related. Part of this issue is an overarching problem with the media’s coverage on Trump. Media coverage of President Trump can be tumultuous and consuming, distracting people from other issues at hand. Moreover, the media attention surrounding the great tragedy in the USVI has been overshadowed by the constant coverage on Trump and Puerto Rico. Trump visited Puerto Rico while the less-covered Vice President Mike Pence visited the USVI. The media’s emphasis on Puerto Rico over the USVI makes sense considering that Puerto Rico has over 3.4 million citizens while the USVI have about 107, 268 citizens. However, coverage on both the USVI and Puerto Rico has been embittered with outcry about Trump’s un-presidential behaviors and seems to miss a lot of key information about the current crisis. The media’s shaky relationship with the USVI isn’t new. 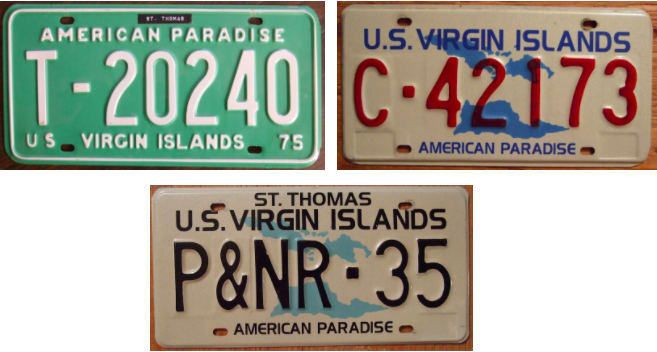 As Peter Bailey of the New York Times and a resident of the USVI points out, the island chain is billed as “America’s Paradise”. This has created an implicit bias within the general U.S. population. The Google Search for the USVI, even in the midst of recovering from hurricanes, auto-completed with words like “vacations”, “resorts,” and “all-inclusive.” In this way, the islands are not presented or seen as somewhere people live but, rather, as a tourist destination. The emphasis on the USVI as a tourist destination has not only put media coverage on their recovery at risk, but it has also put their economy at risk. Nearly 60% of their GDP is from tourism, and other parts of their GDP like the service industry are closely tied to tourism as well. The hurricanes, though, have decimated their earning potential, with dozens of resorts destroyed. This will hurt their economy, which was already suffering after the loss of refined oil products in 2013 when an oil refinery on St. Croix shut down — at the time it was one of the largest in the world. Coverage on the USVI and Puerto Rico also seems to be missing one primary idea: U.S. citizens are suffering in atrocious conditions right now. 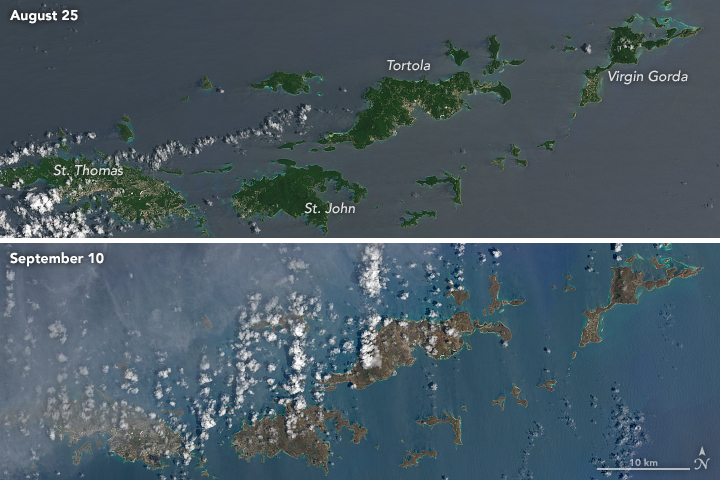 Thousands of Virgin Islanders are in danger because of a lack of medical supplies, electricity, and viable shelter. They were already in severe debt, making recovery more difficult. And their economy is so reliant on tourism that much of the relief effort has been focused on building back that industry instead of building back homes. Thousands of Virgin Islanders remain shelterless, while articles from publications ranging from the New York Times to Brides concentrate on how many resorts will be open in time for people’s vacations. There is also an implicit media bias against black people that has largely affected coverage on the USVI. Over 75% of Virgin Islanders identify as black, making black people the majority demographic affected by the hurricanes. This was the same case in New Orleans during Hurricane Katrina in 2008 — the majority of those affected were also black folks. In both cases, the media reported with a heavy bias against black people. In the case of Hurricane Katrina, it involved the media’s concentration on crime when discussing black victims. 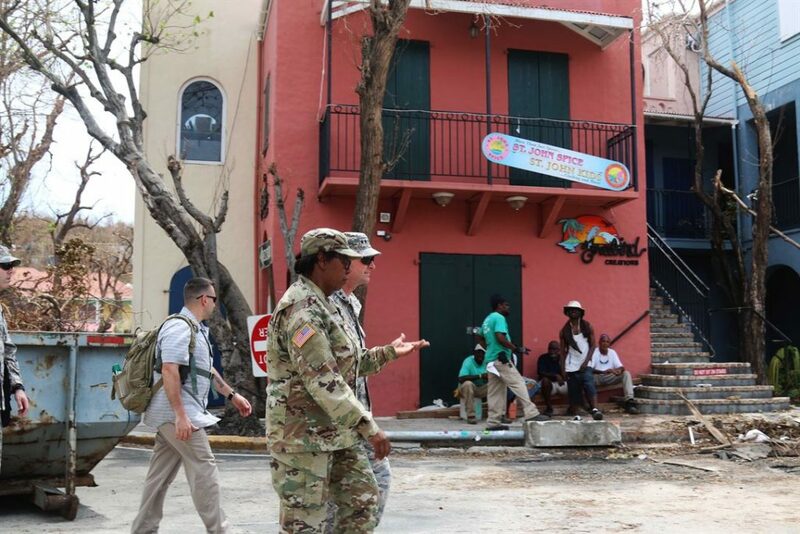 In the case of the U.S. Virgin Islands — a place distant from the states, fetishized as a vacation spot, and filled with black people — there has hardly been any media coverage. Additionally, the only congresspeople who seem to be working hard to put pressure on the president are the black caucus. The rest of America does not seem to care. This sad when considering that state-bound Americans are Virgin Islanders’ only hope. Virgin Islanders have little control over their destiny as a U.S. territory. The federal government is largely in charge of recovery with large events such as hurricanes, particularly the Federal Emergency Management Agency or FEMA. Yet, Virgin Islanders have very limited representation in the federal government, limiting their avenues for advocacy. The USVI, like the other four U.S. territories, has a congressional delegate but with very limited powers. Virgin Islanders also do not vote for president. Despite having citizenship since 1927, Virgin Islanders are essentially second-class citizens. They can’t alternatively work with the U.N. either as their foreign relations are only handled by the federal government, the federal government that does not adequately represent them. 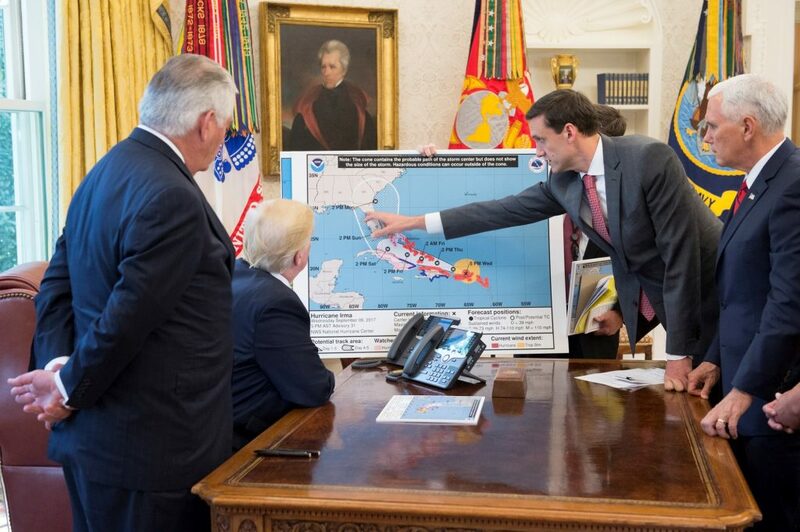 The federal government, since the territories don’t vote for president and don’t have vocal representation in Congress, has no pressure to commit to speedy and effective hurricane relief. President Trump visited Miami and Houston days after they were hit by hurricanes, he even visited Puerto Rico, although two weeks later after their own tragedy. He has yet to visit the USVI. Additionally, the islands, as well as Puerto Rico, have only received a fraction of FEMA supplies and personnel. The Virgin Islanders have limited bargaining chips for access to federal resources. Only Americans residing in the states do. They are the ones who vote for president and have vocal representation in Congress. They could use the power of their vote and proximity to the seats of power to advocate for Virgin Islanders. But they are not, as of now, equipped to advocate for Virgin Islanders. This partially falls on the shoulders of the media. While it is each individual’s responsibility to educate themselves on the pressing issues, the media is a primary educational tool for most Americans. If the media is not showing what’s happening in the USVI, in the territories in general, then people don’t put pressure for Virgin Islanders to be treated better and can even forget that Virgin Islanders are there altogether. This is already what has happened. And, for that, the USVI are not receiving the adequate support that they need. The entirety of Saint John was without power. The main hospital on Saint Thomas has been severely damaged. Schools were shut for weeks on Saint Croix. Would the media or the American public stand for this if it was happening in a state? Probably not. There are powerful stories being told by media outlets like the ones I have cited in this piece, but these pieces are always marginalized in the grand scheme of media. Trump and paradise catch more headlines and bring in more viewers. Even the most recent articles calling attention to this issue within the media date back to months ago, falling into the trap they eagerly pointed out. This is critical as even after the USVI recover from this horrific ordeal (if they ever do fully recover), the issue of media coverage will not be over. The mainstream American media failed for years prior to this to describe the tragic state of their economy, opting to fetishize the land. It continues to fail on reporting the true tragedies befallen, opting to focus on Trump. It ignores the apparent power imbalance between Virgin Islanders, who are U.S. citizens, and the federal government, an imbalance that does not exist outside of the U.S. territories. In a way, President Trump is indeed not the president of the U.S. Virgin Islands — Virgin Islanders did not vote for him (or any president), and he has shown little care for them. The media has at least shown that. Lili Siri Spira is a staff writer for the U.S. Section. She is a UC Berkeley undergraduate pursuing a B.A. in Global Studies with a Development Studies track and an area of expertise in the Americas. In addition to writing for BPR, she works at UC Berkeley's Center for Latin American Studies (CLAS) and is part of the international relations fraternity Delta Phi Epsilon. She is also an avid stress baker.